We are proud of our sports references and not even all athletes are mentioned here but you will find some very interesting and perhaps unexpected people here. 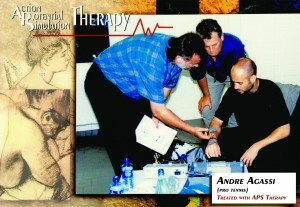 Enjoy reading! 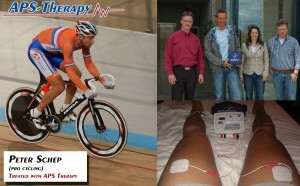 Peter Schep is treated with APS Therapy during his professional cycling career. Andre Agassi was treated with APS Therapy during his professional tennis career. 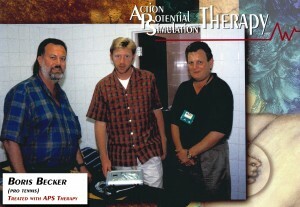 Boris Becker used APS Therapy during his professional tennis career.